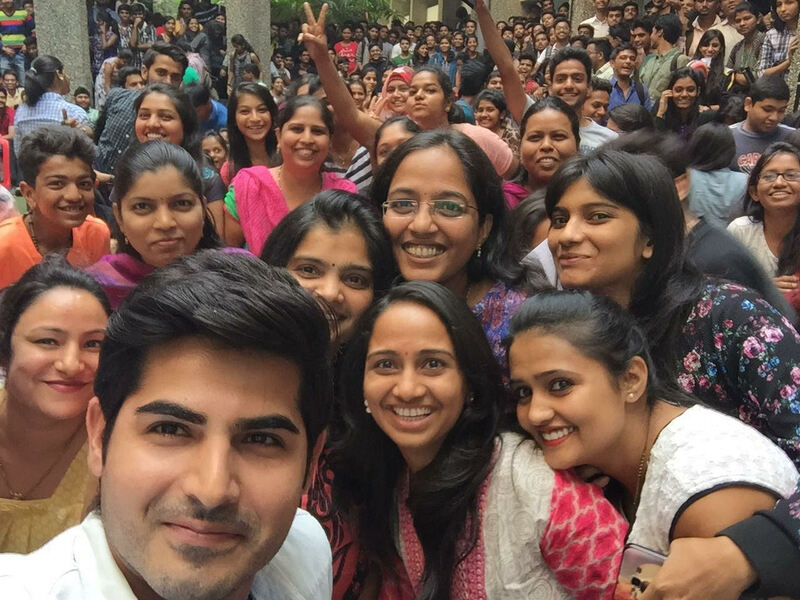 Omkar Kapoor mobbed at Pillai College festival ‘Alegrai’! Omkar Kapoor, who made a splashing debut as the lead actor in Luv Ranjan’s Pyaar Ka Punchnama 2, recently attended Pillai College’s festival ‘Alegrai’ as he was invited by the college authorities to be the Guest of Honour. Omkar, who became a household name with Pyaar Ka Punchnama 2, is seen (in the pictures) basking in all the female attention he received while his visit at the Pillai College. Omkar made a starry entry in the college auditorium while the song ‘Paaro’ was playing in the background. The young actor who enjoys a huge fan following, especially girls, got mobbed as soon as he entered. Girls as well as boys went crazy for him and started screaming and dancing. They requested Omkar to shake a leg with them and the actor joined the crowd and entertained them through his dancing skills. The event got delayed as the gathered crowd was interested to catch a glimpse of Omkar. Interestingly, a college professor requested Omkar to record a video message for her daughter as it was her birthday on the same day and he happily obliged her request. The craziness among the crowd enthralled Omkar and post the event he clicked selfies with all his fans, specially the female ones! All this delayed the event by an hour but the actor made sure he attended the whole event and not let down anyone there.